Now that the 4th quarter of 2007 is drawing to a close I want to look ahead to the books coming out in the first three months of 2008, at least those which have caught my eye and my interest. Wastelands, by John Joseph Adams (editor): This anthology of post apocalyptic literature from the likes of Octavia Butler, Stephen King, Cory Doctorow, George R. R. Martin, M. Rickert, Tobias Buckell, and Elizabeth Bear is perhaps my most anticipated book of the coming year, and definitely of the coming quarter. 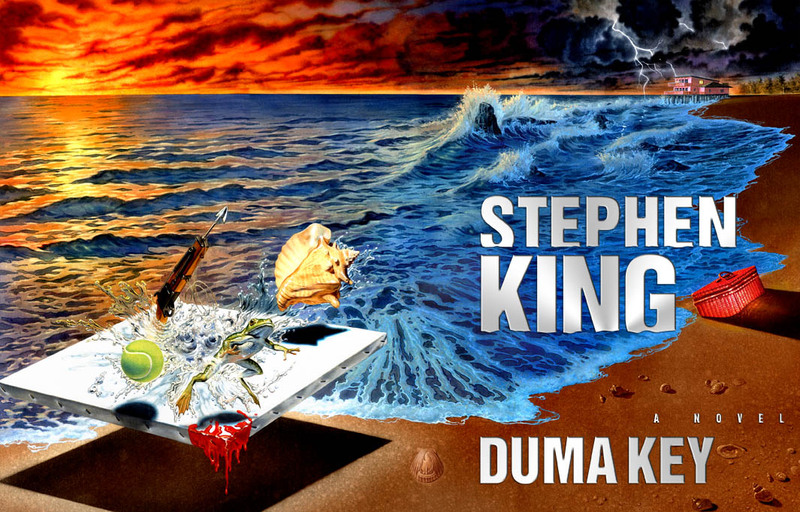 Duma Key, by Stephen King: New King is always worth a look. The story which provided the origin of the novel was published in the back of Blaze and while the story doesn’t have nearly enough to grab my interest, it’s a new Stephen King novel. That’s enough. Dust, by Elizabeth Bear: I don’t know a thing about it except that it is by Elizabeth Bear and I so loved her Blood and Iron and expect to love Whiskey and Water...which makes a new Bear a Bear to be read. Hunters’s Run, by George R. R. Martin, Gardner Dozois, and Daniel Abraham: A new anything with George Martin’s name on it is enough to peak my interest. Dragon Harper, by Anne and Todd McCaffrey: Anne’s Pern output in recent years (like the last ten) have not been up to her previous standards and I’m still not sure how I feel about her son Todd continuing the line, but this is still a new Pern novel. Hit or miss, but I’ll be there. Reaper’s Gale, by Steven Erikson: The seventh Malazan novel. The New Weird, by Ann and Jeff Vandermeer (editors): Hmm, maybe. The Shadow Year, by Jeffrey Ford: Is this a novel? Ford’s name catches my eye, but I have mixed feelings about his work. A World Too Near, by Kay Kenyon: I reviewed Bright of the Sky off a review copy from Pyr. I didn’t love it, but it was impressive all the same. I’m curious where Kenyon takes the story next. Looks like January is the month for exciting and interesting stuff, though Reaper’s Gale leaves a big footprint on the entire quarter. If I'm not mistaken, Jeff Ford's The Shadow Year is an expansion of his novella "Botch Town" from his collection The Empire of Ice Cream. Oh...well...in that case I would like to ceremonially remove The Shadow Year from my list. There isn't a chance in hell I'll be reading if it is an expansion from "Botch Town". In that case, please remove The New Weird as well. You're banned from buying it. I don't think I'll edit the list for either volume as they both caught my eye / interest and the list is, I guess, a record of what I was thinking about this morning. A lot of people are seeing something I'm not. It was over long, a struggle for me to continue with, and...honestly...ordinary. But, hey, I still plan on reading your Shriek and possibly City of Saints and Madmen, so you're not off the hook either, despite my ban of The New Weird. Guess I shouldn't request a review copy from Tachyon, huh? And in case this reads harsher than it is intended, it's typed with a smile on my face and lightness in my heart. Still don't get / like / appreciate "Botch Town", though. I just don't have that much to say about the strike, not yet. I support the writers and think it would be fair if they get paid royalties or whatever as their work gets passed into various media and others make money off of it. Beyond that, not sure what to say.